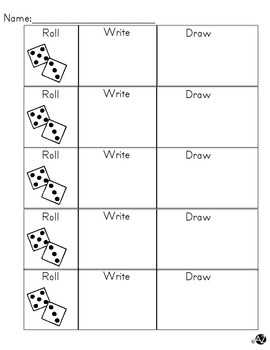 This is a simple sheet I use for numeral practice, it is excellent as an independent math center. 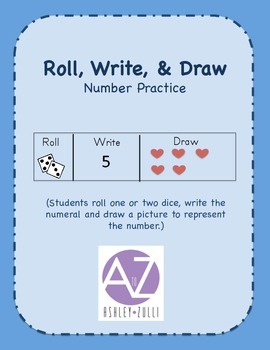 Students use one or two dice to roll the number, they write the numeral and draw a simple picture to represent the number (my students make smiley faces, hearts, squiggle lines, circles, etc. ).